For more information on Membership contact membership@bronxmuseum.org or 718-681-6000 x120. All the benefits listed above for one person. All of the benefits listed above for two people. All the benefits of a Friend Membership plus invitations to exclusive events. Please direct any questions about the Young Bronx to the staff liaison for the group, Olivia Pohl, at opohl@bronxmuseum.org. Click here for more information on the Director's Circle. The Bronx Museum of the Arts is a proud partner of the IDNYC initiative! We are one of 40 NYC cultural institutions offering a one-year free membership to all IDNYC cardholders. Complimentary Membership includes all the benefits of Individual Membership. Membership applications may be filled out in person at the Bronx Museum’s Visitor Services Desk or via the online form. For more information and application details please visit our IDNYC page. All the benefits of Individual Membership at a special rate! 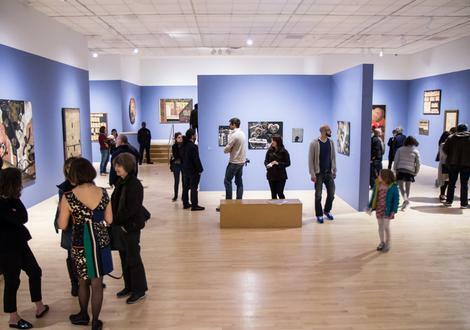 Members at all levels of giving receive invitations for two to attend private tours of Bronx Museum exhibitions. Past tours have been led by featured artists, and exhibition curators. The Museum’s Collection Tours give Friend, Benefactor and Collector’s Circle Members a unique opportunity to view the private renowned collections of contemporary art collectors in NYC and beyond. 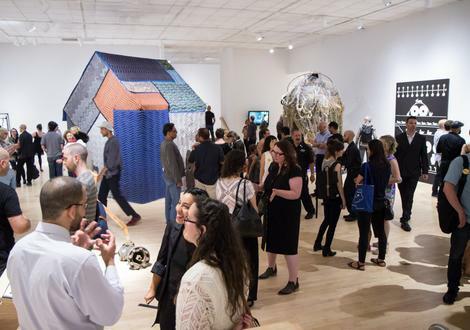 Bronx Museum Members at the Benefactor Level and above enjoy two complimentary tickets to select major Art Fairs in New York City and private tours led by Director of Curatorial Programs Sergio Bessa, or other art experts.